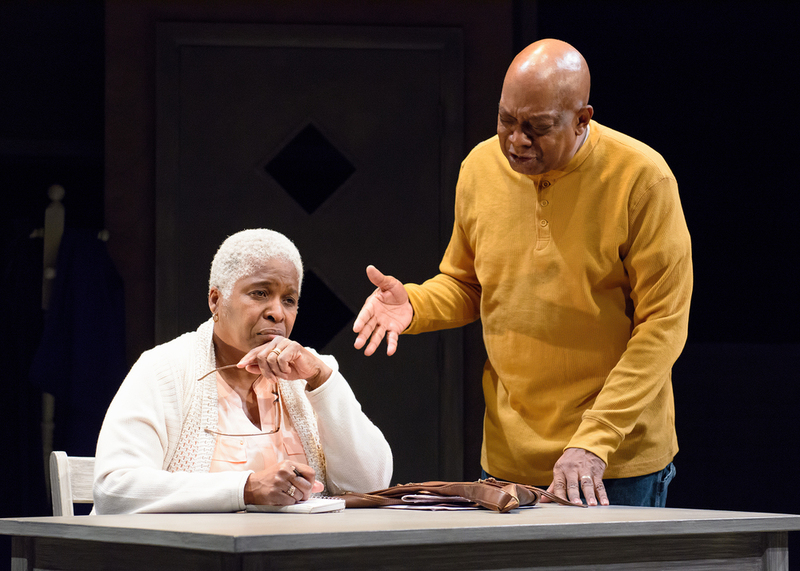 Made her professional debut in Death and the King’s Horsemandirected by its Nobel Laureate author and statesman Wole Soyinka and mounted by Goodman Theatre. She has since performed on stages across this country as well as in Europe and Mexico. She created the role of Elizabeth Sandry for Steppenwolf’s Tony Award-winning production The Grapes of Wrath, adapted and directed by Frank Galati and featured at Britain’s National Theatre International Festival. She also performed selected works by Suzan-Lori Parks at University of Chicago’s Renaissance Society and at the famous Steirischer Herbst Festival in Graz, Austria. 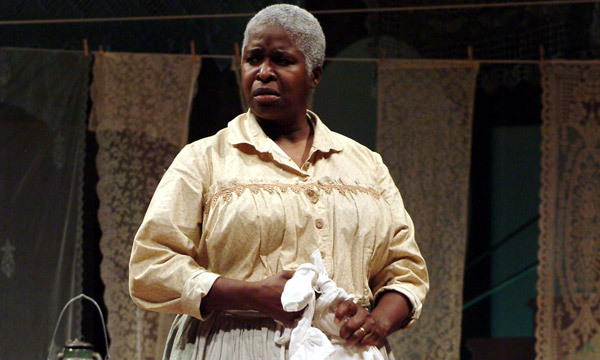 In 2010 Ms. Bruce received both a Jane Addams Hull House Association Woman of Valor Award and a coveted 3Arts Artist Award with unrestricted grant in support of her work in theatre arts. She co-created text and narrated the photography exhibitionCongo/Women Portraits of War which began its international tour following a Chicago premiere. For her 2010-12 Yale University research residency, Ms. Bruce is currently developing a performance project based, in part, on the life and times of Edward Alexander Bouchet (1852-1918), Yale’s first Black doctoral graduate in Physics. “Some Ra”, her poetical essay on the famous Afro-Futurist musician and philosopher, was included in Traveling the Spaceways:Sun-Ra, the Astro Black and Other Solar Myths, jointly edited by John Corbett, Anthony Elms, and Terri Kapsalis and released in 2009. In the summer of 2007, Ms. Bruce traveled to Iida, Japan to study the ancient art of Bunraku puppet theatre in preparation for her premiere staging of Kerry James Marshall’s urban comic Rythm Mastr for the Wexner Center for the Arts in Columbus, Ohio. Named Inaugural Fellow of the Ellen Stone Belic Institute for the Study of Women and Gender in the Arts and Media-Columbia College Chicago in Spring 2006, Ms. Bruce received both grant and research support for the development of a performance project based on the life and times of Black colonial slave poet Phillis Wheatley. Harriet Jacobs, Joe Turner’s Come and Gone(Kansas City Repertory Theatre); The Old Settler (Writers Theatre); Gem of the Ocean(Ensemble Theatre); The Snow Queen, Eurydice, Hortensia and the Museum of Dreams, Voice of Good Hope (Victory Gardens Theater); Intimate Apparel, Everyman,(Steppenwolf Theatre); Nomathemba (Kennedy Center, Crossroads, Steppenwolf);The Story (Milwaukee Repertory); Cry, The Beloved Country, The Dreams of Sarah Breedlove, Oo-Bla-Dee, Trojan Women (Goodman Theatre); Joe Turner’s Come and Gone (Missouri Repertory); five regional productions of From the Mississippi Deltaincluding Off-Broadway at Circle-in-the-Square; and in Studs Terkel’s RACE, co-adapted and co-directed by Lookingglass’ David Schwimmer and Joy Gregory. Stranger Than Fiction, Daughters of the Dust, Music Box, The Fugitive, and The Second Voyage of the Mimi series. Prison Break, There Are No Children Here with Oprah Winfrey, Separate but Equal and To Sir with Love II both with Sidney Poitier, and Crime of Innocence, for which she shared a Best Ensemble Emmy. As an educator, Ms. Bruce created and directed plays with music and dance for Youth Drama Workshop, the summer enrichment program she co-founded with Goodman Theatre in 1995 exclusively for ‘tween age residents of Dearborn Homes in Bronzeville. Titles include: BOO! What Are Your Afraid Of? (2007), The Book of Me(2006), Our Three Worlds (2005), Sunspots (2003), Sea Life, See Life (2002), A Heart on Wings: The Bessie Coleman Story (2001), Sundiata, Mighty King of Mali (2000),Ancestors and Orisha (1999), Powerful Parables (1998), Five Fine Fables (1997), Life Lessons (1996), and Two Tales of Anansi (1995). As director she has mounted productions for Columbia College, University of Illinois-Chicago, Indiana University, De Paul University, Congo Square Theatre Company, and at ETA Creative Arts Foundation where she most recently served as Dramaturg for the Chicago premiere of Birthright by Jackie Alexander.